Around the world, changing funding policies have pushed for university departments to find increased external project-based funding. While this trend is widely acknowledged, mixed views exist about implications for faculty members’ academic practices. Regarding doctoral education, researchers have raised concern that external funding will push doctoral supervisors to be more directive in their supervision of doctoral students’ research projects. However, the empirical evidence supporting such concern is limited. The aim of the current study was, first, to develop and validate a scale allowing us to measure the degree of supervisor direction. Second, the aim was to examine the hypothesis that directive supervision is more likely to occur when the doctoral student’s research project is supported by external funding secured by the supervisor. A total of 1690 doctoral students at a research-intensive Danish university participated in the study. Three scales, including a directive supervision scale, were developed and validated by means of exploratory and confirmatory factor analysis. Our hypothesis could be confirmed for the health sciences, but not the natural sciences. Results from the humanities and social sciences were ambiguous. Cleys-Kulik, A.-L., & Estermann, T. (2015). DEFINE thematic report: Performance-based funding of universities in Europe. Brussel: European University Association. Retrieved from www.eua.be. Danish Ministry of Higher Education and Science (2015, December, 10). Retrieved from http://ufm.dk/en?set_language=en&cl=en. Direct. (2015). In Merriam-Webster.com. Retrieved December 10, 2015, from http://www.merriam-webster.com/dictionary/direct. GCA—Graduate Careers Australia. (2014). Postgraduate Research Experience 2014. 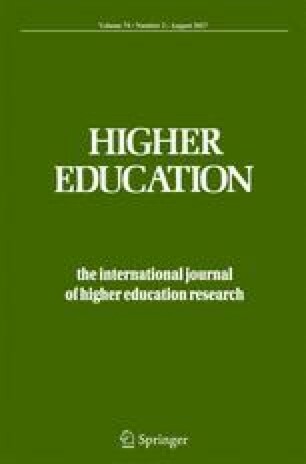 A report on the postgraduate research experience perceptions of recent higher degree research graduates. Melbourne: Edvina Lindsay. Retrieved from http://www.graduatecareers.com.au/wp-content/uploads/2015/09/Postgraduate_Research_Experience_2014.pdf. Herrmann, K. J., Wichmann-Hansen, G., & Jensen, T. K. (2014). Quality in the PhD process - A survey among PhD students at Aarhus University. Aarhus University. http://www.au.dk/fileadmin/www.au.dk/kvalitetiphd/KVALITET_I_PHD__UK_.pdf. The Statistical Practice of Danish Universities [Universiteternes Statistiske beredskab] (2015. December, 10). Retrieved from http://www.dkuni.dk/Statistik/Universiteternes-statistiske-beredskab. Turner, G. (2015) PRES 2015. The research student journey. Higher Education Academy. Retrieved from https://www.heacademy.ac.uk/sites/default/files/pres_2015.pdf.